An odd bottle that was made using rare old whiskey from the old Daly's Distillery of Tullamore. The whiskey obviously dropped to below 40% whilst maturing and could no longer be labelled as 'whiskey', therefore it was reduced further to 20% and bottled as a 'liqueur whiskey'. 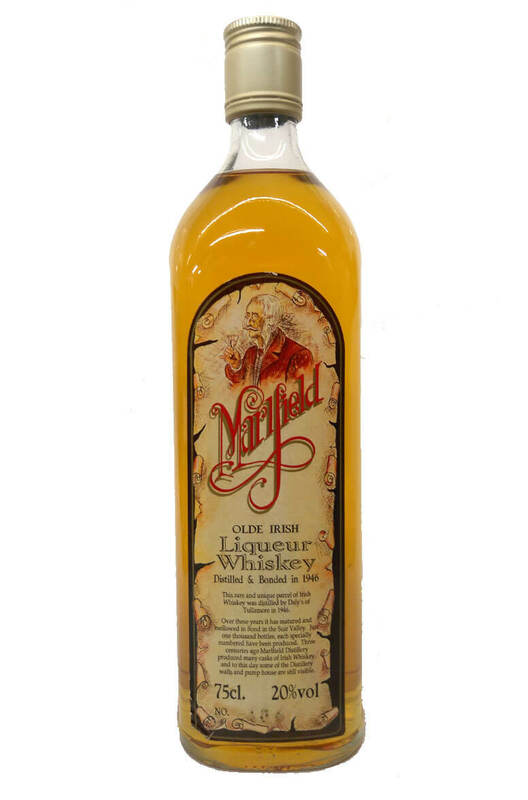 This was released at some point in the 1980s and the original whiskey was distilled in 1946.